Candida Brady brings her hot topic film "TRASHED" to the Cannes Film Festival, where she will be the sole UK filmmaker and one of a handful of female directors represented at this year's festival. "TRASHED" will have a Special Screening on Tuesday, May 22 at Il Palais in the Salle Bunuel. In "TRASHED," Jeremy Irons stands on a beach beside the ancient Lebanese city of Sidon. Above him towers a mountain of rubbish—a pullulating eyesore of medical waste, household trash, toxic fluids and dead animals—the result of thirty years of consumption by just one small city out of how many in the world? As the day’s new consignments are tipped on top, debris tumbles off the side and into the blue of the Mediterranean. Surrounded by a vast reach of plastic bottles, a forlorn Jeremy Irons stares at the horizon. “Appalling,” he mutters. In the new docu-feature “TRASHED,” a Blenheim Films production, produced and directed by British filmmaker Candida Brady (Madam and the Dying Swan), which has been selected to receive a Special Screening at the Cannes Film Festival this month, Irons sets out to discover the extent and effects of the globalwaste problem, as he travels around the world to beautiful destinations tainted by pollution. This is a meticulous, brave investigative journey that takes Irons (and us) from skepticism to sorrow and from horror to hope. Brady’s narrative is vividly propelled by an original score created by Academy Awardâ winning composer Vangelis. The beauty of our planet from space forms a violent contrast to the scenes of human detritus across the globe. Vast landscaped in China are covered in tons of rubbish. The wide waters of the Ciliwung River in Indonesia are now barely visible under a never-ending tide of plastic. Children swim among leaking bags; mothers wash in the sewage-filled supply. Each year, we now throw away fifty-eight billion disposable cups, billions of plastic bags, 200 billion liters of water bottles, billions of tons of household waste, toxic waste and e-waste. We buy it, we burn it and then we ignore it. Does anyone think about what happens to all the trash we produce? We keep making things that do not break down. We have all heard these horrifying facts before, but with Jeremy Irons as our guide, we discover what happens to the billion or so tons of waste that goes unaccounted for each year. On a boat in the North Pacific he faces the reality of the Great Pacific Garbage Patch and the effect of plastic waste on marine life. We learn that chlorinated dioxins and other man-made Persistent Organic Pollutants are attracted to the plastic fragments. These are eaten by fish,which absorb the toxins. We then eat the fish, accumulating more poisonous chemicals in our already burdened bodies. Meanwhile, global warming, accelerated by these emissions from landfill and incineration, is melting the ice-caps and releasing decades of these old poisons, which had been stored in the ice, back into the sea. And we learn that some of the solutions are as frightening and toxic as the problem itself. 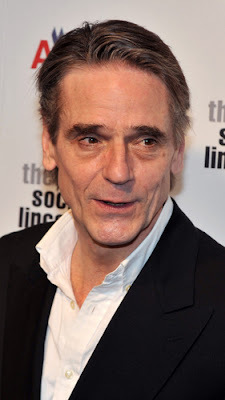 Having faced the worst through much of “TRASHED,” Jeremy Irons turns to hope. He goes in search of solutions. From individuals who have changed their lives and produce almost no waste, to increasing anti-waste legislation, to an entire city which is now virtually waste-free, he discovers that change is not only essential, but happening.